Give your outdoor entry space some wow factor with these amazing porch decor tips. These homeowners could have stopped with the perennials and annuals in front of the porch. But by adding hanging planters, they effectively use more space. This also helps connect the house and garden visually. And, of course, it adds more ambiance for those seated on the porch itself. Check out our small-space landscaping ideas. Even if you never use it, a chair or bench by an entryway has a psychological benefit. It says, “Welcome! Why don’t you sit a spell?” Go ahead and hide the chair in the photo with your thumb and see if the scene doesn’t immediately seem less inviting. That’s what seating does for curb appeal. 10 easy outdoor chairs you can build. A little greenery goes a long way. Whether you pick up a few young seedlings at the nursery or fill hanging planters with cascading flowers, porch plants can change the whole feel of the space. Rather than putting potted plants directly on the porch floor, place them on risers so air can circulate below the pot, reducing the risk of rot to your flooring. The best porches look like an extension of the indoor living spaces. To achieve a comfortable, homey look, set out a few accessories to liven up your outdoor space. Colorful pillows and cushions pack a big punch­—look for high-performance indoor/outdoor material like Sunbrella. Layer on candles, lanterns, wreaths and seasonal décor for an extra boost of personality. This trellis is an elegant way to get a degree of privacy for a porch, deck or even a patio. It’s also a great place to grow climbing plants. This trellis offers a unique design that allows you to adapt it to fit a variety of sites. And materials for it cost less than $100. We’ll show you everything you need to build it. There’s no shortage of porch swings available for purchase, but you can have the satisfaction of a job well done if you decide to DIY it instead. 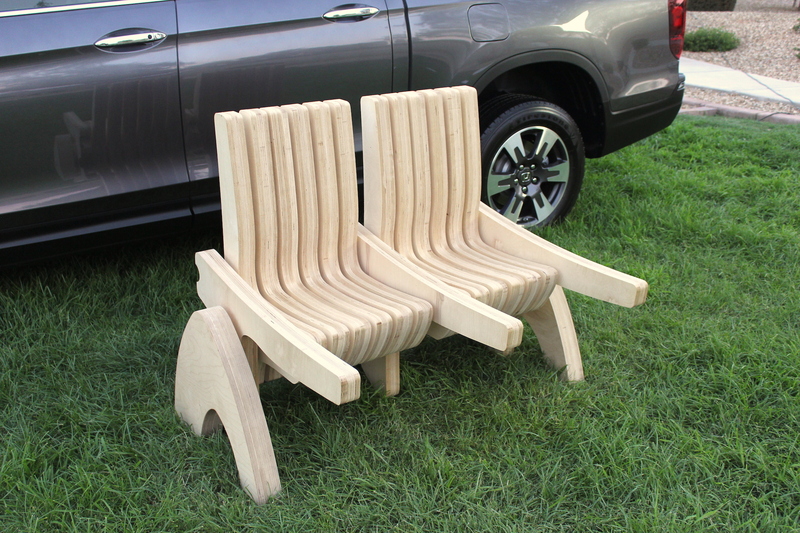 We’ve designed a classic two-seater made of poplar to be simple enough for a first-time woodworking project. The swing is made up of simple cuts and easy glue-and-screw assembly techniques. You’ll need a table saw, circular saw, drill/driver with bits, jigsaw, tape measure, square, power sander, hacksaw and an adjustable wrench. Ready to get started? Get the full step-by-step here. Now here’s a porch swing design worth its weight in gold. A console holds two drinks in the middle of the seat, leaving plenty of room for two people. When not in use, it can be flipped up and out of the way. The swing, handmade by Amish woodworkers, has a rolled seat bottom and backrest top for comfort and is available for $249.99. Check out these 10 clever ways to foil any potential porch pirates. The classic love seat shape and warm honey color make this an attractive love seat for your porch, and the contoured back and wide armrests make it comfortable, too. The durable, all-weather wicker material is supported by a powder-coated steel frame, so it can stand up to the elements. Wicker furniture is great in the backyard, too, check out these super inviting backyard spaces. The cheery green finish of this porch swing will pop against more muted house colors. Made of acacia wood, it can fit two adults and has a curved back for optimal comfort. Scope out these backyard swings that will make for a relaxing time as well. When it comes to this porch swing, comfortable is an understatement. This day bed-style swing comes with a 5-3/4-in.-thick mattress, three square back pillows and two bolster pillows. It’s made of whitewashed eucalyptus for moisture and insect resistance. The only problem? Finding the extra time in your schedule for afternoon naps. Find another special getaway with one of these incredible treehouses. This porch swing features a radial design on the backrest and a pretty bronze finish. It’s made from solid iron and features rust protection. If you’re worried about rust, then check out these tips on how to remove rust from metal. This beautiful porch swing model features elegant woodworking detailing and built-in cup holders, perfect for holding a cup of lemonade. It’s made of pressure-treated-pine, but finished in a cedar-colored stain that provides UV protection and makes it look pricier than it really is. It comes in two sizes, 4 or 5 ft. long, to fit various porch sizes. Check out these pro tips when it comes to staining wood. This coastal-inspired porch swing looks like a hammock, with all the function of a two-seat swing. The woven rope seat is perfect for beach houses or to infuse a nautical vibe. The body is made of HDPE lumber that doesn’t splinter, fade or rot. Available in other colors. Speaking of beaches, a beach doesn’t get much better unless you own it yourself, like one of these incredible islands you can buy. You can add a spacious, airy outdoor porch to your home. We’ll show you everything you need to complete the project yourself, including how to frame the porch, attach it to your house and all of the finishing details. Sure, it’ll take a lot of time and work, but once it’s done, you can beat the bugs and spend more time outdoors during the summer. This second-story lanai allows for a different type of vantage point than your typical ground-level view. An exposed-beam ceiling, cypress columns an of course, a swinging day bed make for a dreamy space in which to chill out. If you’re getting major feels from this swing, be sure to check out these 10 pretty porch swings. Omar Salinas, HiTech Photo, Inc. The architects behind this unique design sought to create a more intimate connection with nature. To do so, they introduced natural materials and organic, rounded shapes. Much like the tropical lanai, this treehouse screen porch is situated high in the sky, with a view of the surrounding forest. Get inspired to make a treehouse of your own with these 50 DIY treehouses made from reclaimed materials. Photo: Courtesy of Omar Salinas, HiTech Photo, Inc. When there’s a beautiful view right outside your home, it would be an injustice not to invite it in. The design of this home takes advantage of southern lake views and solar exposure. The result is a sunny, warm and serene space, including the screened porch that’s equal parts modern as much as it is rustic. Getting inspired? Here’s how to build a screened in patio. This slightly more urban home takes advantage of the backyard trees by creating a cedar wood screened porch that allows you to feel a little touch of outdoor paradise while still protected from the elements. Here’s how to build an outdoor living room so you can enjoy the outside from inside too. This lake house room makes for one sweet space to chill out with the massive domed ceiling overhead. The natural materials make for a very comfortable area, while the windows bring the outside in. If you love remote nature homes, check out these 16 amazing cabins. Located in La Parguera, Puerto Rico, you can actually rent this home that’s situated over the water. The wooden structure, that can accommodate eight people, features a brilliant view of the water from the porch. The massive back porch is covered, allowing you to shade yourself from the sun while still taking in the stunning water all around you. If this feels like your dream home, then you have to check out these 10 over-water bungalows that are truly like living in a paradise. This gorgeous estate, situated in Cantabria—an autonomous region on Spain’s north coast— s done in classic Mediterranean style with a very castle-like feel. Among the best features is surely the indoor pool room that offers incredible natural light to make it feel like it’s outside, but without the elements to get in the way. If you think castles are dreamy, check out these 50 extremely remote castles. This Big Sky, Montana log cabin mansion has one inviting rustic family room that brings the mountains in. If you don’t live in the mountains but would like a backyard stream that looks like you do, check out this one-weekend, low-maintenance fountain. This remote home tucked in the woods offers a room perfect for the plant lover. An ode to a typical greenhouse, you can get your hands a little dirty even on a rainy day. If you love this look, here’s how to build a mini greenhouse with an old window. Swimming pools contained with a lanai are particularly popular in Florida. Not only does the design permit some privacy, but also protects the pool, patio furnishings and toys. Check out these amazing backyard swimming pools. Nothing screams small patio designs like collapsible furniture. A foldable table is the ideal way to save space. You can even grill on your small patio with this fold-up grill table. If you want to surround yourself with plants while you read a book on your patio but don’t have the floor space for the pots, grow vertically! The sky is the limit, literally. Simply fasten some potted plants to a wall or fence. Make your wall colorful! Check out these 14 inspiring DIY flower walls. Just because your patio or porch hugs the neighbor’s house or looks out onto the street doesn’t mean you can’t have a bit of privacy. Simply decorate a privacy screen with vines or lush plants. Also check out how to build your own patio privacy screen. If the only thing your small patio designs really have room for is a table and chairs, but you want some greenery, simply combine your needs with a terrarium coffee table. Martha Stewart has a great DIY project for you to follow. Check out these 12 tips for making a DIY terrarium. It’s a bench, a 2-seat bench, a table, a love seat and even a chair with an end table, all in one piece of furniture! That’s an efficient use of space. If you prefer a classic garden bench, here’s how to build one.